The majority of the UK use gas fired central heating to warm their homes. 2.2 million of us, however, use electricity as the primary means of warming our homes. There are several different types of electric heating available. We’re going to take a quick look at some of them and the pros and cons of each. These are the most common electrical heaters found in the UK, being fitted in approximately 1.7 million homes. They are sometimes generically known as Economy 7 heaters, due to the low cost tariff that some of them are designed to operate with. A storage heater is filled with ceramic ‘bricks’ that are heated up using electricity, usually during the night. This heat is then released during the day. They are most commonly found in blocks of purpose built flats. Their introduction was a result of the UK’s heavy investment in nuclear power stations in the 60’s and 70’s. Electricity was being constantly produced 24/7 and introducing time of use tariffs, such as economy 7 in conjunction with storage heaters, was a way to make use of this excess electricity. Older and cheaper modern storage heaters tend to be manually operated. This means that they need to be manually turned on or off, even if the room is already very warm. These days there is a wide range of automatic storage heaters controlled by thermostats. Some of these models are also fan assisted or come with a built in convection heater to provide heat on demand. Storage heaters have some advantages over other forms of electric heating. Firstly, due to the time of day that they use electricity, they are cheaper per kWh than other forms of electric heating. Secondly, they are very easy for a qualified person to install and take up little space compared to other forms of heating. They do have their disadvantages, however, as storage heaters will continue to release a small amount of heat even when not needed. Naturally the more basic cheaper models will release more heat than more expensive modern ones. The other main issue is that by the evening, when most households want to use the heat, the majority of the stored heat has been released. Because of this, although using electricity at a cheaper tariff, they can work out more expensive to run. This type of heater is not commonly used in UK households as the primary means of heating. 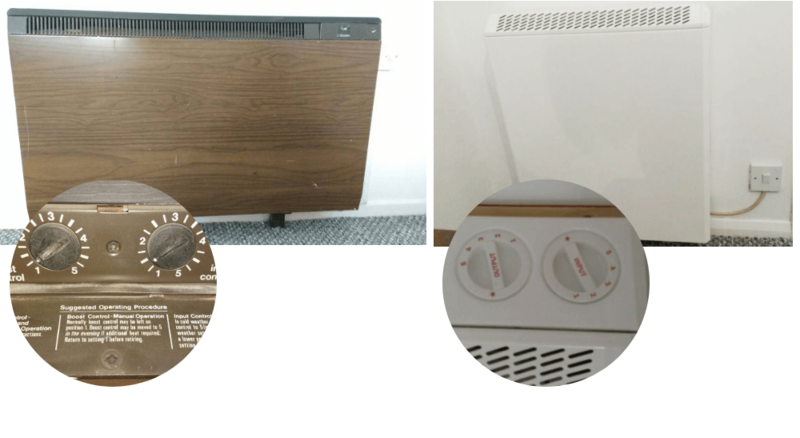 They are more often used in a specific room as a supplementary means of heating, and are quite often found in workplaces that don’t have any other form of heating. Whilst they may look similar to storage heaters, convection heaters work in a different way. Inside the heater, is a heating element that uses electricity to warm up. The air surrounding this element then rises through the top of the heater and into the room it is warming. Cooler air is then drawn through the bottom of the heater and is warmed in turn. The advantage of an electrical convection heater is the speed at which it can warm a room. Similar to storage heaters, they are also very easy for a qualified person to install. A vast range of convection heaters are available to suit most budgets, even the most basic will have a built in thermostat to control the temperature of the room, and more expensive models will be programmable to suit their intended time of use. Convection heaters do have several disadvantages however. Like all electrical heaters they are more expensive to run compared to gas fired central heating. Because they work using convection, the heat they create is very easily dissipated by drafts and the warmest part of the room will be the highest. Electric under-floor heating is commonly known as a ‘dry’ system. This is because unlike ‘wet’ under-floor heating systems, which use hot water flowing through pipes, they instead use either electrical wires or heating elements. The majority of under-floor heating in the UK (65%) is electric. Generally electric under-floor is installed in one room, the most common being the bathroom followed by the kitchen. This is normally due to the nature of the floor in these rooms which tend to be tiled. 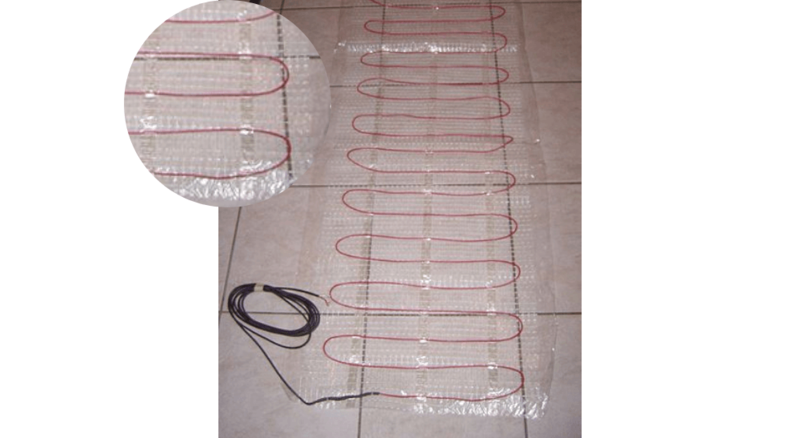 Electric under-floor heating has some particular advantages over other types of heating. A lot of people have them installed for the luxury of a warm floor under their feet on a cold winter’s day. They can also be an effective way to heat a whole room if the correct size and type of system is installed. The cost and ease of installing is relatively low and simple compared to traditional types of heating as well which is one of the reasons it is popular with DIY’ers. They do however have some disadvantages. Depending on the size of the room and the way the system has been installed, the room may end up with ‘cold’ spots; areas of the room that never seem to get warm. They also take longer to warm up than traditional heating systems. As with all other types of electric heating, the running cost for an equivalent amount of heat compared to gas fired central heating is higher. These work in a different manner to the previous types of heating. Whereas the other types all rely on some form of convection to warm up a room, infrared heaters don’t. Instead they use infrared radiation to directly warm up an object. When used in a room, the infrared travels through the air and warms up any object it touches. This provides a different ‘feel’ to the heat in the room from a traditional type heater. Infrared heating has been around for a number of years, but traditionally has been employed in large open areas such as factories and warehouses. In recent years however, slim line glass infrared heaters have started to make an appearance in people’s homes. They have some advantages over more traditional convection type heating systems. Because the air in the room is not being heated and circulated, any dust or pet hair that is present is not circulated around the room with the air. This makes infrared heaters a particularly good choice for those that suffer from allergies. The heat they provide is also available within approximately 30 seconds if you are in the path of the infrared itself. Due to the fact that objects in the rooms, such as furniture and the walls of the room itself, are being warmed, the heat is less affected by draughts and the opening of doors. They are also cheaper to run than a comparable convection heater. There are some disadvantages though. Although cheaper to run than other forms of electric heating, they are still more expensive to run than a traditional gas fired central heating system. This can be offset by careful use of zoning within the property. Their other principal disadvantage is that they need careful positioning in the room. If there is any item blocking the infrared from travelling, then the heat won’t be felt to its full effect. It is an unfortunate fact that the equivalent amount of electricity is more expensive than gas. It costs approximately 4p per kWh of gas vs. approximately 15p for electricity. The average energy expenditure on heating a home in the UK is 12,037kWh. All things being equal this would mean that it would be three times more expensive to warm a home using electricity. However, it is not quite as simple as that. All the different heating systems work at different efficiencies. A gas boiler is not 100% efficient, which means that not the whole 100% of the energy is converted into heat for use in the home. An electric heater on the other hand is much more efficient, as nearly 100% of the electrical energy is converted directly into heat energy. It is worth noting though that since April 2018, only boilers that are 92% efficient or more can be fitted new. 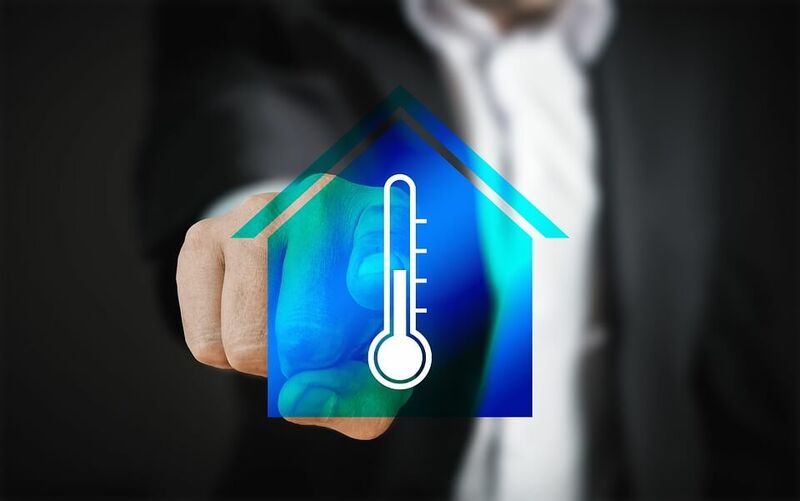 There are also multiple other factors that can affect how much it costs to heat your home: the shape of the room you intended to heat, the height of its ceilings, the size, amount and type of windows, the amount of furnishings, the amount, type and age of any insulation present, the times of occupancy, the type of occupant etc. The rating of the individual heaters will massively affect the cost as well. It is therefore very difficult to say precisely how much one type of heating system is going to cost compared to another.